Failed negotiations would make people look forward to resolving a dispute through litigation. However, it would be a complicated process, but an imperative step in a majority of cases. You should search for a quicker and comparatively lower cost option that would be as effective as litigation itself. 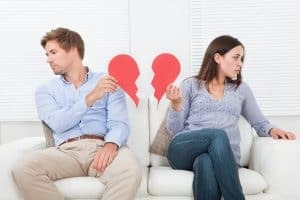 It would be pertinent to mention here that mediation would enable everyone involved in the dispute to put across his or her views in the final agreement or settlement. It would also help you further prevention of conflicts. You would be able to handle issues in a competent manner. Why do you need family mediation? When parents divorce, it would not only affect their respective lives, but also the life of their children. It would be imperative to keep the life of your children secure. They should be living a normal life and follow a normal routine. Any hamper to their routine or life would cause detrimental effects on their future life. Their life after divorce of the parents would determine the kind of person they would become in their future. Most children may take refuge in school considering the kind of atmosphere they see in their home. When it comes to school, nothing has changed for them. Undoubtedly, the parents would like their children to continue schooling. In event of the children being enrolled in private schools, it would become a challenging aspect for most parents. At times, only one of the parents would be working. When they need to form a budget for their new home, legal fees and in most cases, a new family, a continuation of meeting the school expenses would become a difficult task. In such a scenario, tension would increase while discussing such an aspect. Despite the parents looking forward to their children attend the same school, most would have to move to another town after divorce, usually due to work commitments. One of the parents, who would be willing to pay his or her share of school fees, especially when they were able to access their children, would be reluctant to pay in event of the children taken away from him or her. 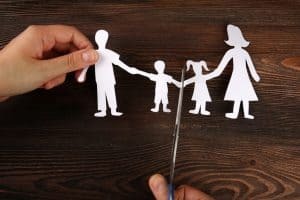 Family mediation could be largely helpful when couples look forward to separating. An independent person who would be impartial to either of the parties to mediation would be able to calm the increased tension. The mediator would gain the trust of both the parties. It would be pertinent to mention here that experienced mediator would be able to handle the issue with ease. The experienced mediator would provide the best solution to the existing problem, based on the specific set of circumstances. You may feel that seeking legal advice would appear someone gaining control of your life; family mediation is different in its working. It would keep the family at the heart of all agreements and decisions made during the mediation process. They would keep the scope of discussions between the parties to mediation. Both the parties would be free to take control of their settlement. However, it would be done with the assistance of reliable and proven mediation service.